The harp is one of the most ancient types of stringed instruments. It was important in pre-Christian cultures and still survives today in many forms all over the world. In the Middle Ages strings were made from twisted animal gut (usually from sheep), although horse hair and even silk were used as well. From the 9th century onwards gut strung harps were used right across Europe from Wales and Scotland to Italy and Hungary. The early wire strung clarsach first appeared during the 10th-12th centuries and became the principal stringed instrument of Ireland and Scotland. Since tuning was diatonic, only one mode could be used at a time. The Renaissance Workshop Company lap harps draw its inspiration from historical sources but essentially they have been designed for quality of tone, ease of playing and ease of construction. There are two versions of harps with 22 and 17 strings respectively, each one of them in several versions. Minster Lovell is a village about 4.0 km west of Witney in Oxfordshire (UK) and is home to the historic ruins of Minster Lovell Hall. It gives name to a lap harp with features taken from several historic sources, designed for ease of playing with or without semitone keys. In our Diatonic 'Minster Lovell' Harp, the pillar is steamed and bent from solid beech and the harmonic curve is cut from a matching piece. Specially selected lime is used to make up the rectangular soundbox. The harp is fitted with traditional tuning pins and 22 gut strings tuned diatonically G - a'' making it suitable for most early music. Included as standard are a spare set of top strings and a tuning lever. Our Chromatic 'Minster Lovell' Harp has the same quality materials and design but is fitted with traditional brass 'flag' action semitone levers. It is tuned G - a'' suitable for most early music and with the addition of the semitone levers can quickly be changed to any key. 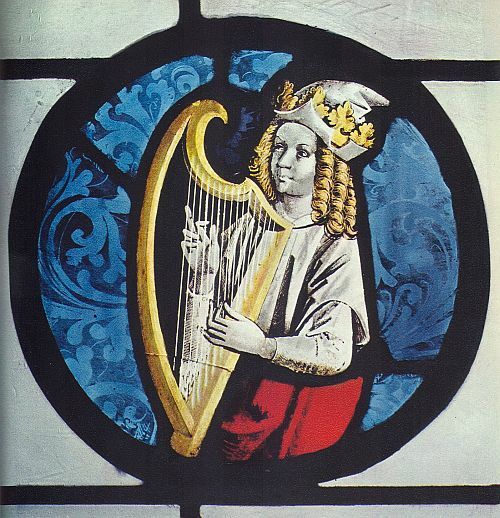 The 'Weekender' Harp is a medieval style lap harp of 17 strings with a range a little over 2 octaves a - c''. You can choose nylon or gut strings. A padded case is available as an optional extra if required. 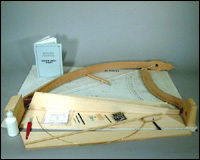 The same instruments are offered in kit form for home assembly. Construction of our 'Minster Lovell' Harp is straightforward and we can recommend the kit for anyone wishing to build a traditional harp for the first time. The pillar is supplied pre-bent from solid beech and the harmonic curve is cut to match. Selected lime is supplied thicknessed and cut to size for the simple rectangular soundbox. A tuning lever, 22 traditional style tuning pins and a set of gut strings complete the kit. The Semitone Keys Kit is supplementary to the 'Minster Lovell' harp kit and contains 22 'flag' style semitone levers in die cast brass, a hole template and fitting instructions. 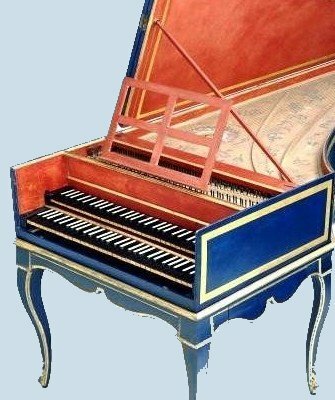 It is easier to fit the semitone levers during the initial construction of the instrument rather than after the tuning pins and strings have been fitted. The 'Weekender' Harp kit is one of a range 'Weekender' kits which have been designed for ease of assembly, practicality and economy. They are enjoyable to build and can be finished, as the name implies, in a weekend or two. All the parts supplied are cut to size from English sycamore, beech or laminated birch, ready for final assembly. You can choose nylon or gut strings. You can make the same Harp from scratch, following detailed step-by-step instructions through the construction process in a clear and concise manner.